Opening Times: Club times (exclusive) Tue & Thu (summer only) 1900-2130, Sun 0900-1230. No public times. The track was originally 440y cinder. 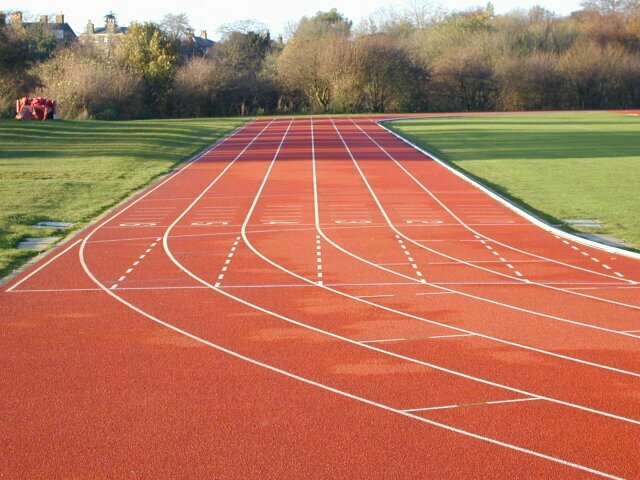 It was upgraded to 400m synthetic with the assistance of Materials Science Consultants Ltd. and was opened by Kelly Holmes on 1st July 1998. It is situated in a very pleasant location with views of the school, the National Trust property Knole and the surrounding countryside. The finish line for 110H is 10m back from the normal finish line. The JT runway was created in March 2002 by painting the lines. All the throwing circles are about 300m from the track.